Hein Waters and Klein. We are committed to the principals of honesty, integrity, fairness, unwavering advocacy on behalf of our clients. Law Offices of Hein Waters and Klein - our law firm was established in 1940 in the Rockaway�s, Queens County, New York and for the last seventy years we�ve been serving a diverse client base in the New York Metropolitan Area, helping our clients to meet their business and personal legal needs. 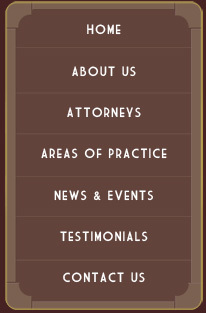 We are committed to the principals of honesty, integrity, fairness and unwavering advocacy on behalf of our clients. Many of our clients have established close, long lasting relationships with our firm and some have been with us for a lifetime. We listen carefully to our clients, analyze their issues, problems, needs and goals, and then formulate recommendations and plans for action, presenting and throughly explaining them. Our primary objective is to provide effective, efficient representation and legal assistance at a fair and reasonable cost. We make every effort to resolve legal matters without protracted litigation, but when we can�t, we are tenacious fighters and within the bounds of professional ethics we relentlessly protect our client's rights and interests. When the outcome of a legal matter is important for you personally or for your business you will need legal representation that is highly credentialed and thoroughly experienced. Your legal needs are our focus and our priority and we deliver the service that we promise.